On confering the guru-gaddi to Satguru Balak Singh Ji , Dhasam Patshah, Sri Guru Gobind Singh ji had said, " I will reappear in my 12th incarnation in the family of a carpenter. Then my name will be Ram Singh and my village would be on the banks of Sutlej river. I will then take this Gurgaddi back from you". was if immense benefit to men & women. It helped them swim acroos the vast sea of existence. Guru Balak Singh Ji was born in March 1784 A.D. corresponding to full moon of Chetra, 1841 Bikrami, in Sarwala, District Camblepur. His father was Baba Dial Singh and mother Mata Bhag Bhari. He was a sage by birth with unusual habits, in his childhood he was very calm and serene in nature and loved to remain in solitude. He would spend most of his time in reciting hymns in praise of God. He loved to remain in the company of Saintly persons rather than the boys of his age. As he grew up, he abjured all the worldly pleasures and gaudy things. He would spend most of his time in deep meditation. In April 1812 while he was in deep meditation on the bank of river Haron, Guru Gobind Singh Ji along with his five disciples appeared there in person and blessed him with Gurgaddi. Guru Gobind Singh Ji said, “I will reappear in my 12 incarnation in the family of a carpenter. Then my name would be Ram Singh and my village would be on the banks of Sutlej river. I will then take this Gurgaddi back from you”. According to Giani Gian Singh: the Namdhari Sikhs regard Satguru Balak Singh Ji, the 11 incarnation of Guru Nanak Dev Ji. Satguru Balak Singh Ji shifted to Hazron in 1828 Bikrami and set up a shop there. He earned his living by honest and simple labor. The poor people particularly benefited as they could get every thing cheapest rates. His fame spread far and wide. He now started delivering regular religious discourages which transformed innumerable drunkards, smokers and meat eaters into saints and pious persons. Satguru Balak Singh Ji now all the more absorbed himself in deep mediation for hours. One day Guru Balak Singh Ji was in deep Mediation, when the Creator appeared in person and asked him to devote himself for the welfare of the suffering humanity. He should meditate on Naam Simran himself and inspire others to do the same. Satguru Balak Singh Ji replied humbly:- “O Lord! my only desire is ! to worship and be one with you, so as never to be separated again. Kindly entrust this task to someone else”. “Guru Gobind Singh has already bestowed upon you the Gurgaddi. You only have to carry on this duty till the arrival of Thakur Ji (Sri Satguru Ram Singh Ji)”, the Lord replied. 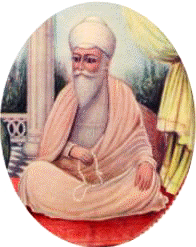 Thence onwards, he started preaching Sikh tenets and blessing the people with Naam: Religion of Naam and of the Guru’s. The people held him high esteem and felt salvation in his words. Sh Ram Sahi Ji, Baba Sangta Ji, Dhani Ram Ji were some of his devotees, who reached spiritual heights and became saints of high caliber. Thus a large number of Sikhs became his disciples and devotees. The spiritual following his Gursikhi Maryada and Sikh tenets, they were able to swim across the vast sea of existence. 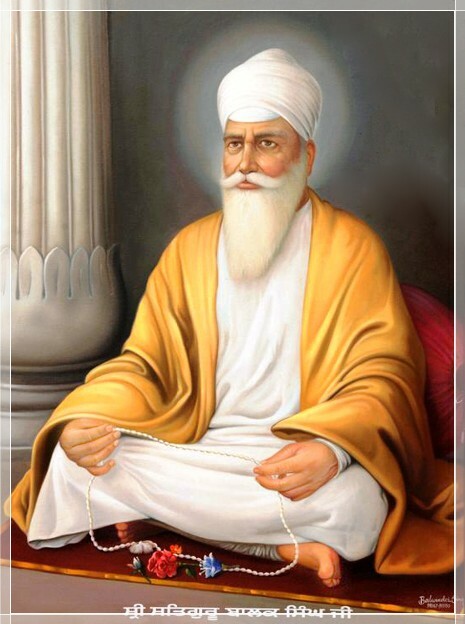 Naam blessed by him was the destroyer of evil and led a life of renunciation, he was an awakened soul and always recited Gurbani in his congregation. Satrguru Balak Singh Ji preached his disciples to always follow the path of righteousness, truthfulness, honesty and selfless service to the weaker section of the society. He made it obligatory for all his followers to get blessed with Naam from the Guru, mediate upon it and recite Gurbani daily. He left for his heavenly abode on 6 of December in 1862.